WILLEMSTAD - Gasoline becomes a bit cheaper again. The price per liter drops below the two guilders and will cost 1.995 guilders at the gas station next week. Diesel, water and electricity, on the other hand, become more expensive. The decline that started last month with regard to the price of petrol is therefore continued. 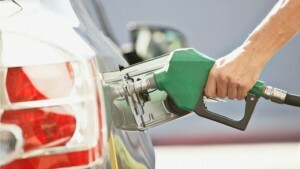 In September, the driver paid 2,049 guilders per liter. That was still 2,015 guilders last month. The drop in the gasoline tariff is mainly the result of a decrease in the so-called 'surplus/deficit component'. The price for diesel will rise on Tuesday. Last month, from 1,515 to 1,498 guilders, it will be 1,569 guilders per liter starting Tuesday.